Discover what Wright College has to offer by exploring academic support services and student activities. Faculty, advisors and students will be on hand to answer questions. Campus tours and information sessions about admissions, financial aid and scholarships will be available in Spanish and Polish. To confirm your participation, please call 773-481-8026 or send an email to wn_e-advising@ccc.edu. This event is open to the public. 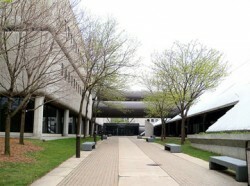 For more information about City Colleges of Chicago, call: (773) COLLEGE or visit www.ccc.edu.